Like many cities in the Catalonia region, Barcelona is steeped in history and stunning architecture. In addition to the copious Roman remains, the city is home to handfuls of churches and cathedrals, some of which have become tourist destinations in their own right. The best way to see these towering works of art is to consider a Barcelona holiday rental or hotel so that you can be in the heart of the action and stay for a least a few days. Considered one of the most famous churches in the world, the Sagrada Familia sits proudly on the Barcelona skyline. This architecturally stunning building was first designed and construction began back in 1882, but it has yet to be finished. In 2010, the church was declared a minor basilica by Pope Benedict XVI. The best time to visit is early in the morning before the crowds of tourists descend upon the property. This incredible church was built between 1329 and 1383, and the building is a stunning feat of Gothic construction. 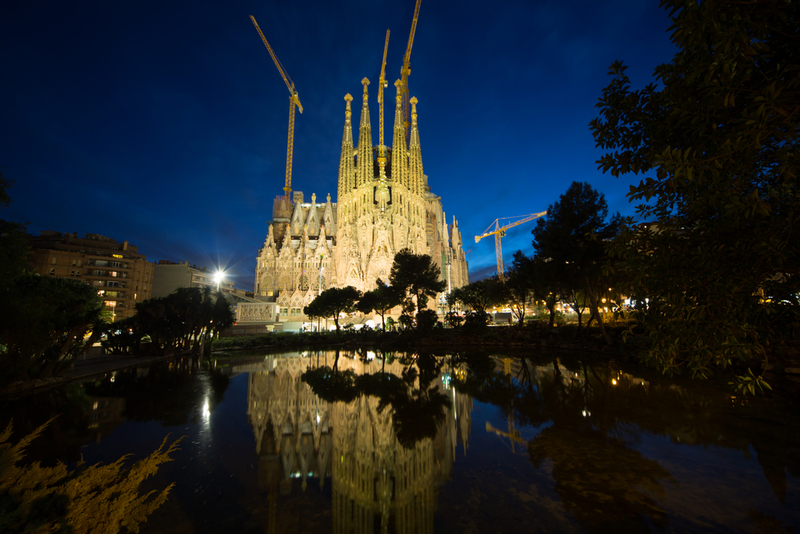 Like the Sagrada Familia, it is one of the most visited spots in the city. 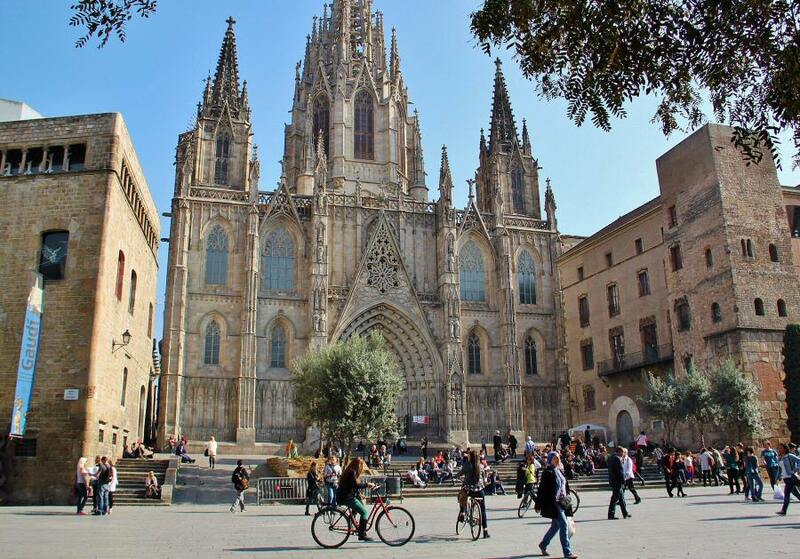 This Gothic-style cathedral is the seat of the Archbishop of Barcelona, and its distinguished Gothic style is a sight that shouldn’t be missed. The cathedral that you see today was built over the old cathedral in the 13th century. Every year around Christmas time the square outside of the building is host to a spectacular Christmas street market, full of food and music. When you first arrive in Barcelona for your holiday in Spain, this impressive building is one of the first sights you will see. Built on a mountain high above the city, its lofty location offers stunning views of Barcelona below. Right in front of the church is one of the oldest amusement parks in Europe, Tibidabo Amusement Park. Although Barcelona is a large city, it has great public transport allowing you to visit each location with ease. Villas in Barcelona create an ideal base from which to go out and explore the many sites and architectural feats on offer. Antoni Gaudí’s architectural masterpiece is the one of the main attractions for visitors to see on their Barcelona holiday. 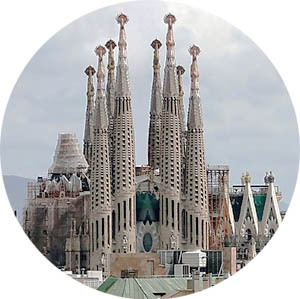 Known the world over, the Sagrada Familia Cathedral has inspired designers, engineers and architects from around the globe. Gaudí was born in Reus to the south of the city. When he was the son of a coppersmith he began to learn about arts and crafts in his father’s workshop. He left Reus for Barcelona and entered the School of Architecture in Barcelona at a young age, it is here his dream developed into becoming one of the finest architects Catalonia has ever known. His unique modernist art inspired new generations and created a movement the city and its residents had never seen before. As his reputation grew he was commissioned to design some of Barcelona’s best known projects which he designed and honed into his own interminable style. The famous structures of Casa Milà or La Pedrera as it is also known, and Casa Batlló are two of his well-known buildings in the centre of the city. He took over the design of the Sagrada Familia Cathedral in 1883, once he realised what a great undertaking it was, he left his other work to concentrate solely on this structural masterpiece. He never did see the end result, but even today the blend of Gaudi’s architectural genius and the more contemporary features which were completed after his death mesh together past and present flawlessly. Everyone who visits the city is drawn to this Cathedral, it dominates the skyline and offers a real awe-inspiring look into the genius and creativity of one man. It is possible to book tickets to visit the beautiful interior of the cathedral, you can also walk the towers for the most phenomenal panoramic views of the city below. However, the building is just as impressive from the exterior. Whatever you do, don’t leave your vacation rental in Barcelona without seeing it just the once – you won’t regret it.